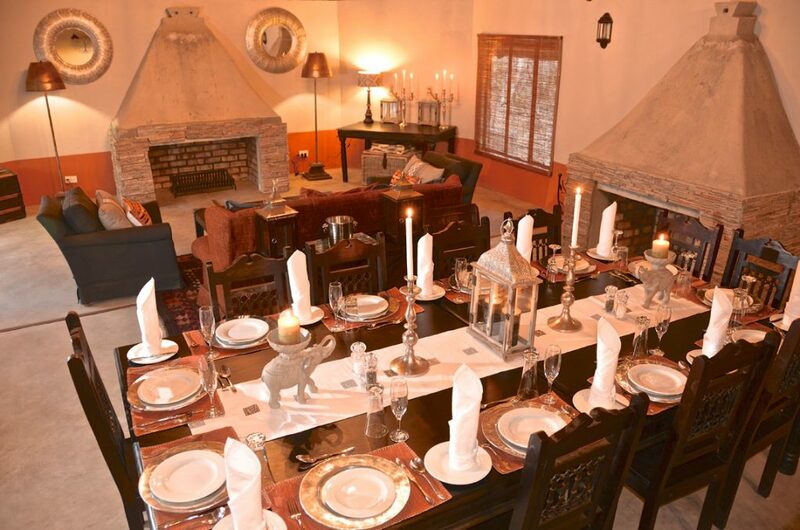 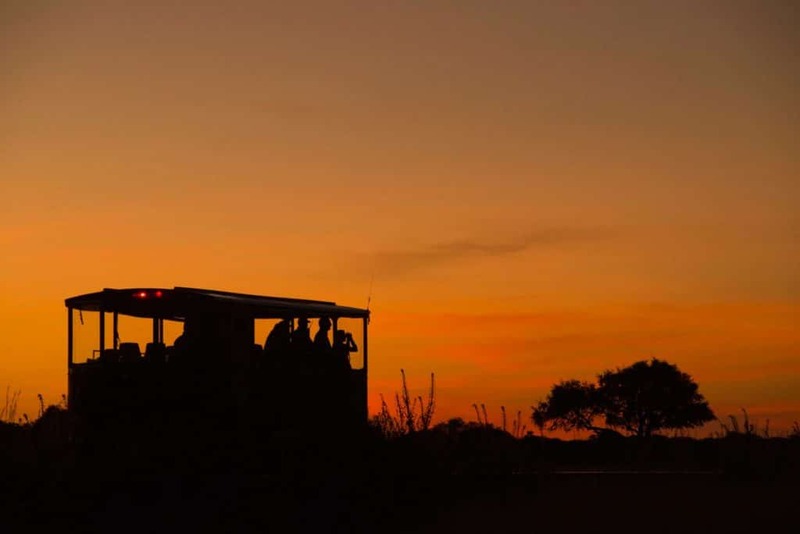 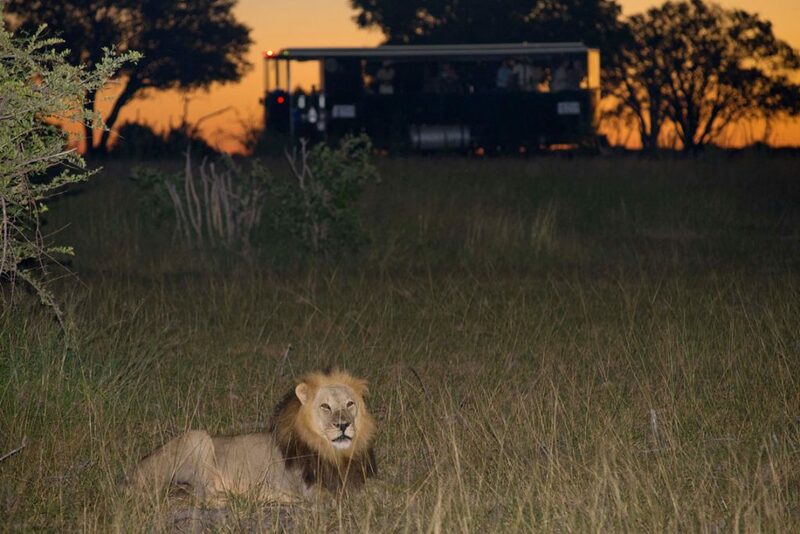 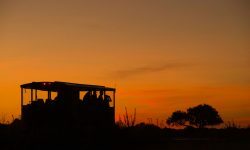 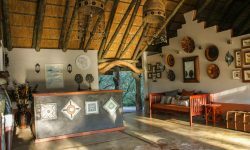 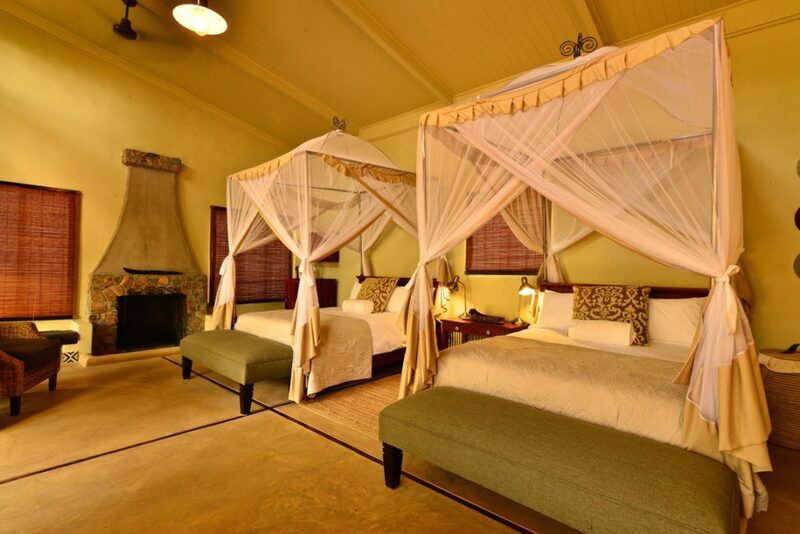 This flagship lodge is nestled in a patch of pristine woodland just west of the famous Ngamo Plains on the edge of the south eastern corner of Hwange National Park. 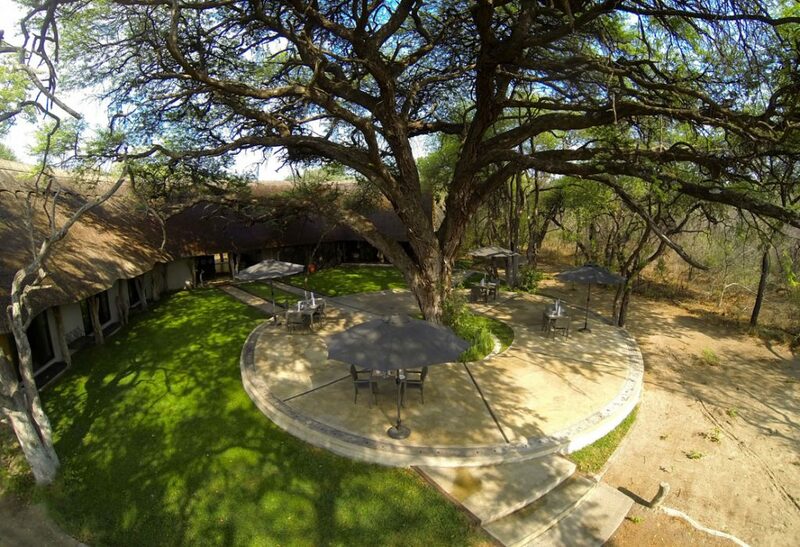 The lodge is unique in its style and design and has as its centre piece a huge ancient Camelthorn tree. 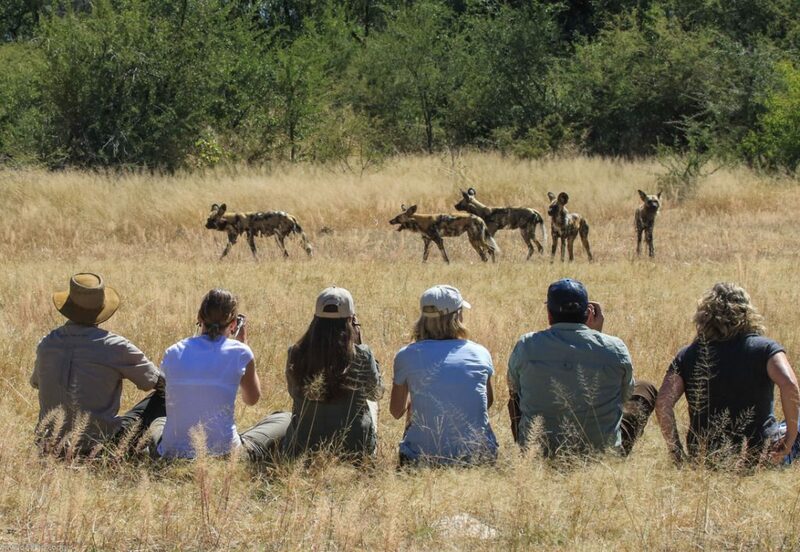 On the edge of the Ngamo Plain, and strategically placed to Camelthorn o ers a spectacular wilderness experience. 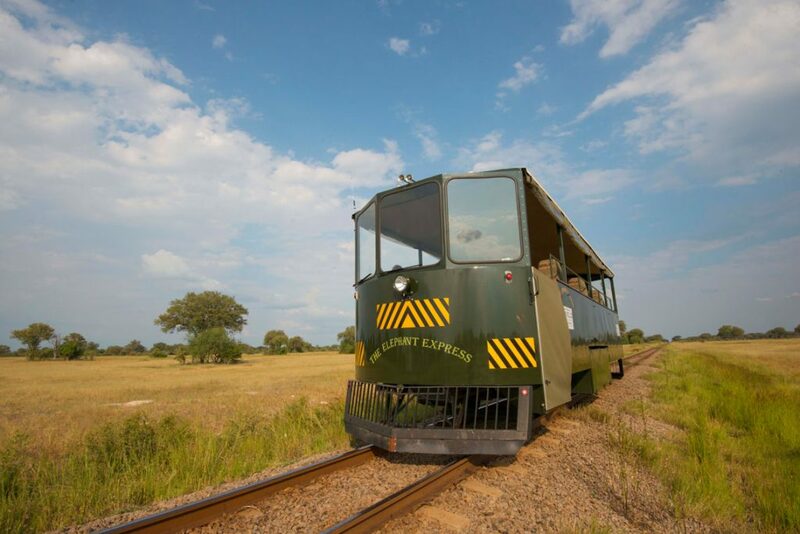 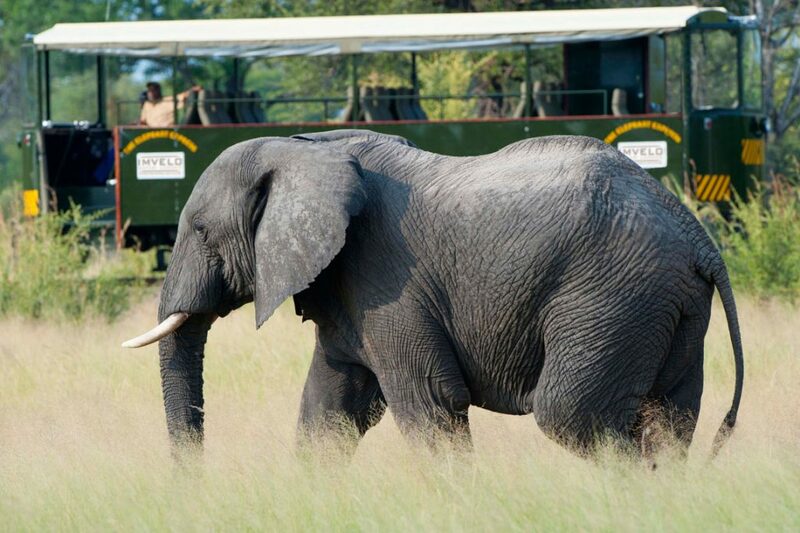 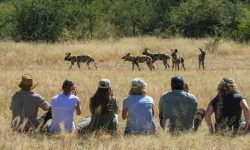 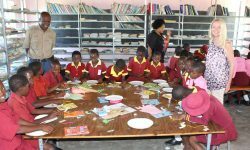 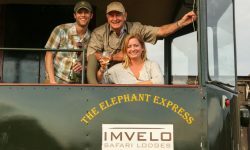 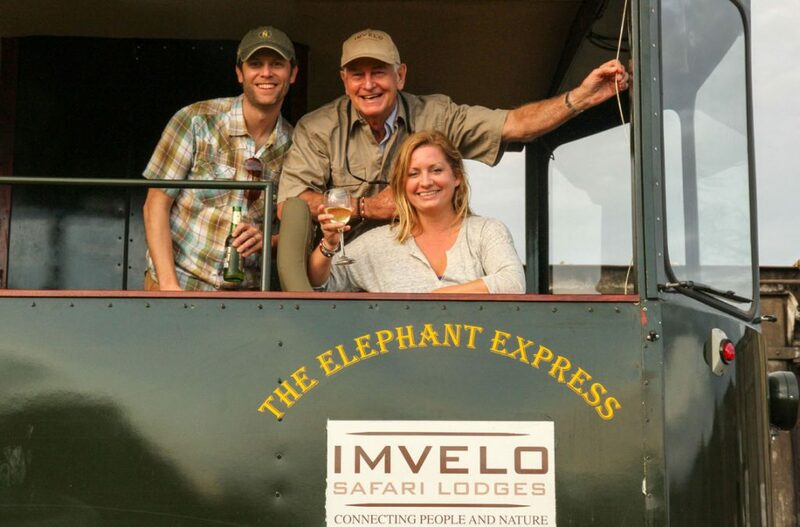 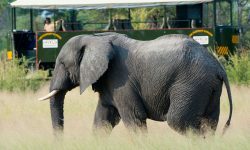 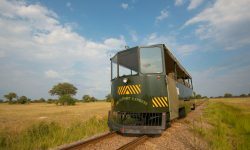 Camelthorn is 4-5 hours road transfer from Victoria Falls or Bulawayo or by the highly recommended Elephant Express Rail Car. 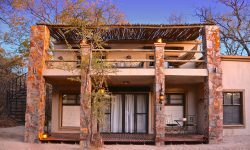 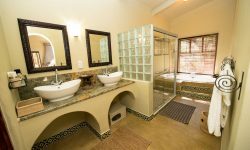 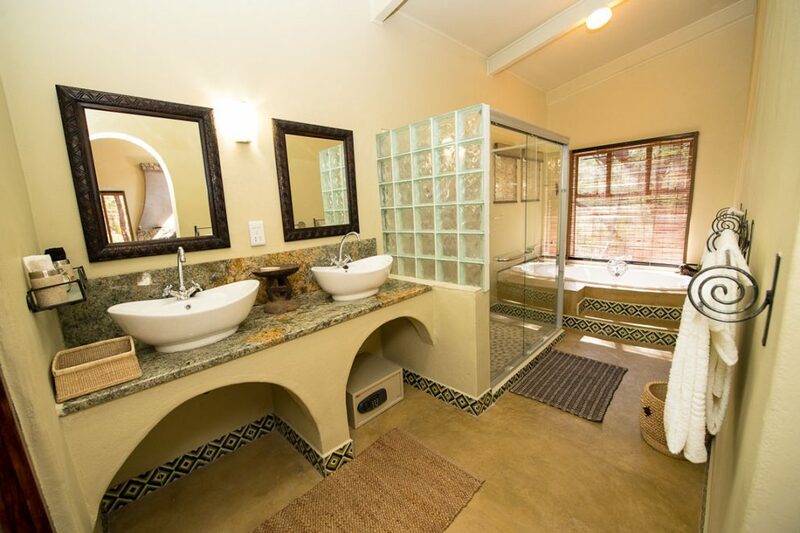 The Accommodation consists of 8 forest villas with flat roof with stone walls, outdoor maisonette with hammocks (ideal for a siesta or a night ‘under the stars’) accessed via a spiral stairway, large bedroom and lounge area with large sliding glass doors and overhead fans. 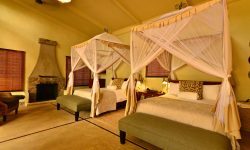 Room configuration – one king bed or twin double beds. 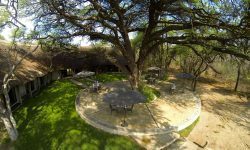 Main Lodge is a magnificent stone structure with thatched roof built in a open U round the lodge’s splendid name-sake- the Camelthorn Tree. 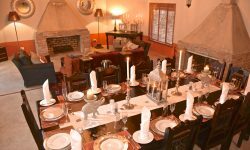 The western wing is a closed in dining room protected from the elements with 3 fireplaces. 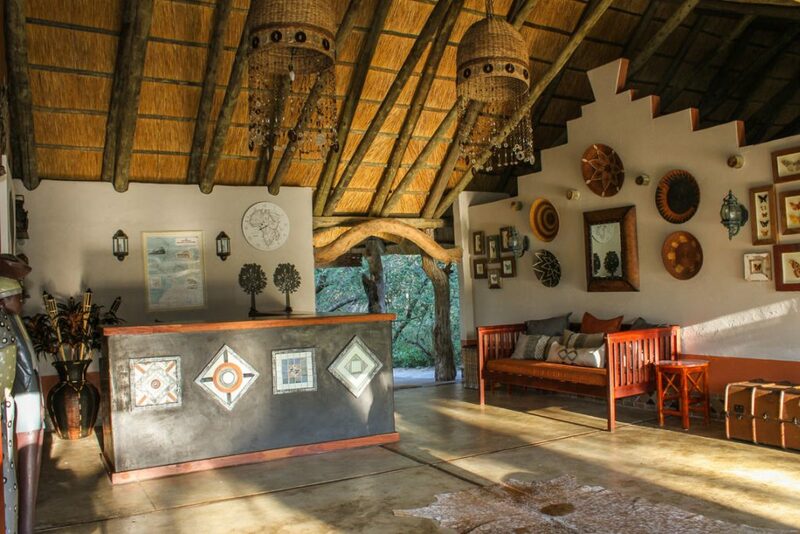 The eastern wing is a open fronted , a well stocked bar and lounge. 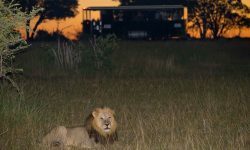 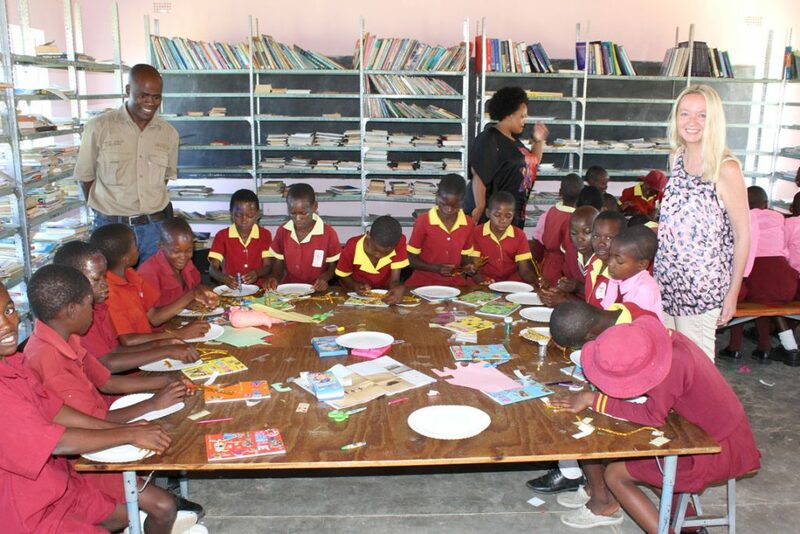 The Electricity is run on Generator power and there is Free WIFI in the main areas.